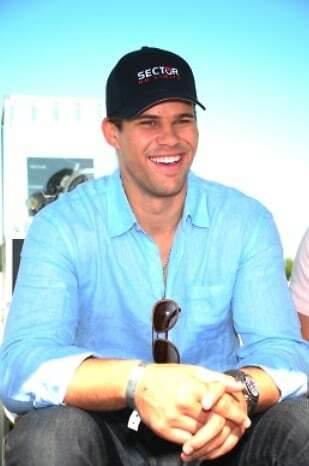 New Jersey Nets NBA star Kris Humphries was the honored guest this Saturday at the Circa Championship field. The basketball star and soon to be husband of Kim Kardashian had all eyes on him when throwing out the first ball onto the field. 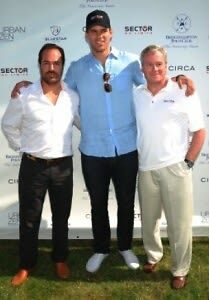 With the game so heated and intense, celebrities and socialites such as Chris Del Gatto, Veronica Webb, Phil Schwetz, Kimora Lee Simons, Donna Karan, Todd Rome, Michelle Suna, Jill Zarin, Jonathan Cheban, had their eyes running up and down the field as they watched the close game. Guests in the Blue Star VIP tent enjoyed little bites by Turtle Crossing American Bistro’s chef Arthur Wolf. Many also enjoyed complimentary integrative therapy treatments, compliments of Urban Zen, using Eastern healing modalities which addresses PANIC (pain, anxiety nausea, insomnia, constipation and exhaustion) from specialist Menna Olvera. Presented Sector “no limits” and Circa, Certified faced Heathcote in the second week of the Monty Waterbury Cup. Though Heathcote started out the game with a 3 point advantage over Certified due to their team roster’s handicap adding up to 17 goals instead of 20 goals -- that did not intimidate Michael Borrico’s team towards the win. The game kept everyone on their toes as both teams were neck-to-neck throughout the entire afternoon, allowing Certified to walk away with victory by only one point (final score 11/10). Going into the last chucker of the game Heathcote was ahead by just one point (10/9), but the pressure to stay on top was too high for Steve Lefkowitz’s team. Certified managed to tie the game up with a penalty goal by Tomas Garcia Del Rio and then take the victory by scoring a last minute goal by Tomas’ brother, Marcos.